Considering that the Socle du Monde biennial art event in Herning, Denmark only began in 2002, it’s somewhat surprising that it represents the country’s oldest biennial. Yet, the qualification is fitting in other ways, given the tone and curatorial aesthetic of the three-venue and outdoor exhibition. That is to say: the avant-garde strategies that the biennial reflects and nearly deifies—from the work of Italian conceptual artist Piero Manzoni, whose sculpture ‘Socle du Monde’ (1961) lends its title to the whole biennial, to the idolized ZERO artists Otto Piene, Heinz Mack and Günther Uecker—have a certain cultural weight that puts them in the category of untouchable, art historical specimens, as opposed to the living, contemporary works their gestures have spawned. The biennial title, ‘To challenge the Earth, the Moon, the Sun & the Stars’, pays homage to great artists—before and after Manzoni— who have “accepted the challenge of turning the world upside down”. Despite this quite epic promise, in at least two of its seven chapters, ‘Socle du Monde’ confronts us with a series of clean, elegant objects, made mostly by male artists, and presented in curatorially conservative museum displays. The works are beautiful, spotless and imposing; the historical imagery lining a wall of one of the gallery spaces presents their creators as a boys’ club of free-spirited inventors, part of a network of international artists working in the same vein, at the same time. These men are the anchors for the biennial’s concept, which privileges their playful approaches to materials and the environment. 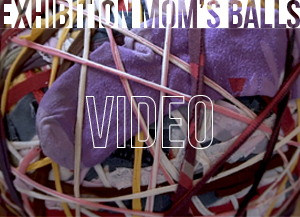 What was more interesting than this historical exposé, for me, however, were the works by contemporary artists chosen to respond to the ethos of Manzoni and ZERO’s work. The site of the biennial revolves around the grounds of HEART – Herning Museum of Contemporary Art in the Birk Centerpark region of the Danish industrial city. 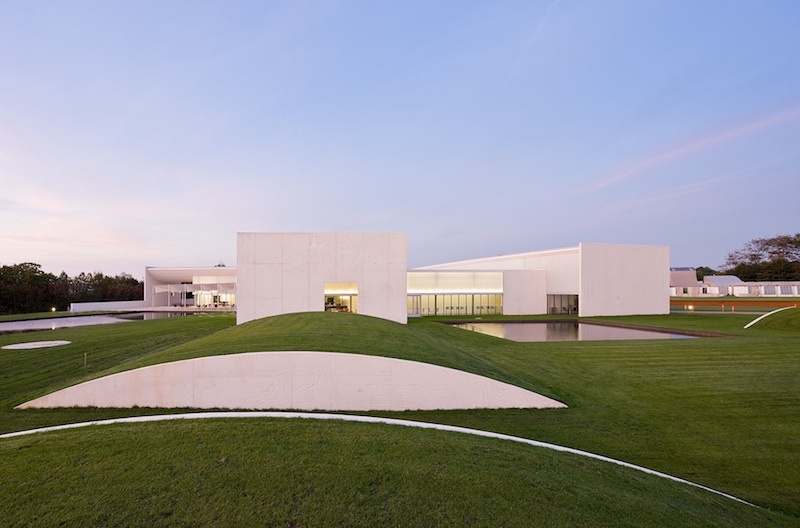 The museum, designed in 2009 by American architect Steven Holl, was built to house the private collection of textile baron Aage Damgaard, who owned an adjacent shirt factory and was well-known as a patron of the arts throughout his life. Damgaard integrated artworks in the factory complex to inspire his workers, and invited several artists—most notably, Piero Manzoni himself—to create works in the area. 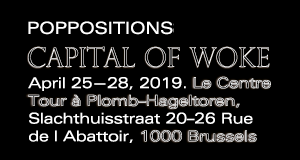 The vast grounds of the former Angli factory and present HEART museum are presented as canvas for international artists exhibiting in the Socle du Monde biennial. Japanese artist Keisuke Matsuura‘s large-scale piece ‘resonance’, presented just outside the museum, garnered considerable attention for its dominating audible and physical presence: the work is a site-specific series of taut, white slack-line bands pulled across the dipped landscape of the museum’s back field. As extreme winds gather momentum in the artificial channel, the slack-lines shake violently, creating a whooshing sound reminiscent of clothing lines battered heavily in a storm. It’s possible to walk between the lines, to be a part of their chaos, or to view them from a distance; both options invoke a sense of fear, resulting from the familiar struggle of manmade structures against unruly natural elements. 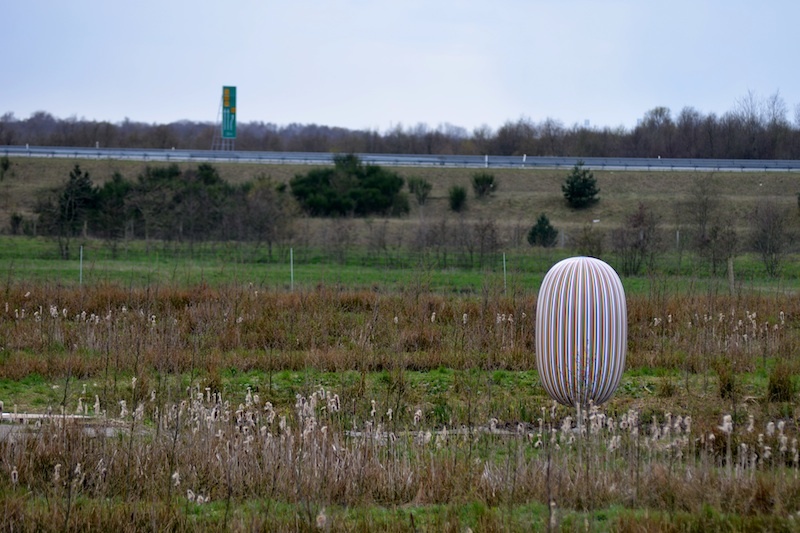 Nearby, Korean artist Kimsooja has planted a hovering, egg-shaped sculpture in what looks like a crop circle; her site-specific intervention reads as a spherical alien landing in front of the smoke stacks of the factory in the background. 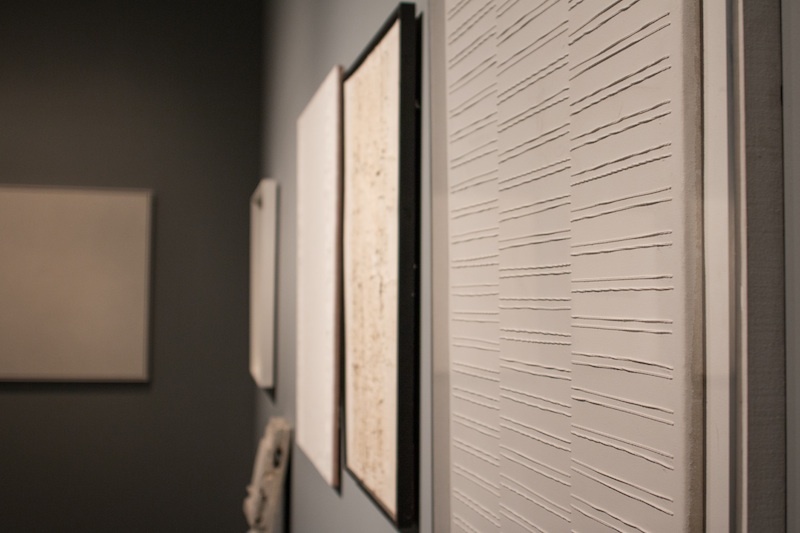 The work ‘Deductive Object’ is part of a series of such objects made by the artist, many of which have a similar striped pattern. In this setting, Kimsooja’s work is in dialogue with the handful of other bizarre artworks popping up across the grounds—such as Ingvar Cronhammar‘s 2009 sculpture ‘Elia’—and draws our attention to the relationship between art and industry, the very gap that Damgaard’s collection aimed to bridge. The more political responses to Manzoni and ZERO’s legacy were found in the exhibition ‘Incubator’, curated by Olivier Varenne with Martin Guinard-Terrin in the Herning Høyskole, a former community college and dormitory. On one floor of the tall student housing building, each bedroom hosted anonymous works of art compiled by London-based platform Art Barter. The exhibition of works functioned as an auction, through which the public could “purchase” artworks using skill trades or possessions in lieu of money. 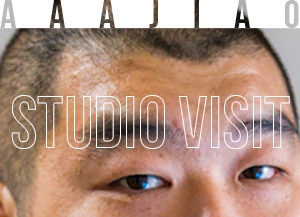 After the exhibition ends, the artists will go through the offers and decide what they will accept in exchange for their artwork. 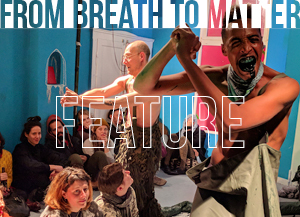 The platform exists to create a dialogue about alternative economies, using the art world and its cult of personality as a staging ground for questioning our concept of value. In another wing of the building, which used to function as the students’ common room, Danish artist duo Hesselholdt & Mejlvang created a terrifyingly poignant work that reflects the alarming racist and nationalist political sentiments popping up globally. 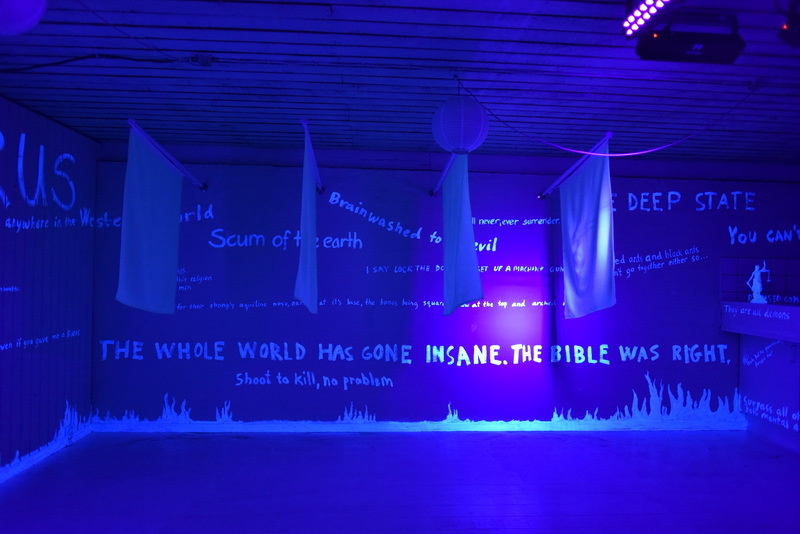 Culled from message boards and comment sections online, a series of hate-filled words and sentences are scrawled in luminous fluorescent paint on white walls, and only appear under black light. 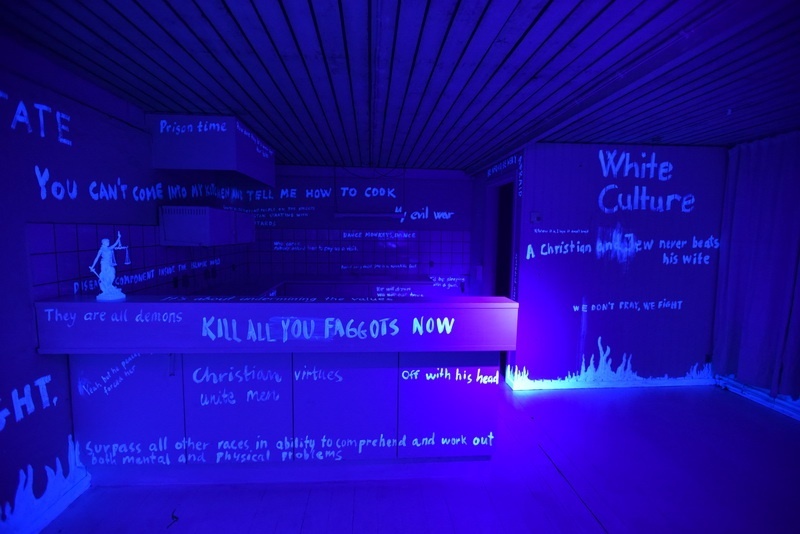 Visitors enter an all-white, uninspiring and unfurnished room with a small kitchen and several white flags hanging in the middle of the space; after a couple minutes, the room goes dark and all the messages become visible. Hesselholdt & Mejlvang’s work often deals with nationalistic tendencies, and this time seeks to reveal the increasing presence of unchecked hate speech in all corners of the internet. Hesselholdt & Mejlvang: ‘The Invisible Territory’, 2017, Socle du Monde Biennale // Photo by Ole Jørgensen. British artist Conrad Shawcross explored political themes in his work, ‘The ADA Project’, in less overt ways. 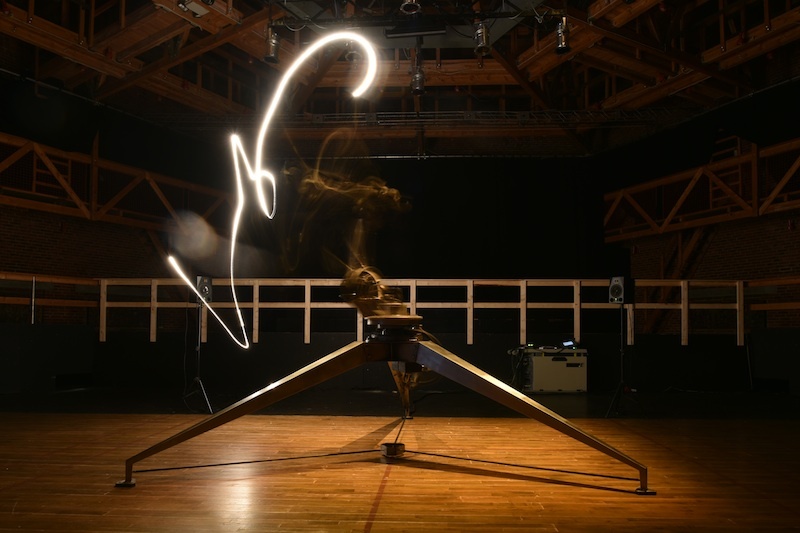 The project makes use of a tailor-made light robot, whose choreographed movements dictate the composition of musical scores developed by invited female composers. The title of the project refers to the philosophies and ideas of the Victorian mathematician Ada Lovelace, famed for her groundbreaking algorithmic contributions to Charles Babbage’s general-purpose computer, the Analytical Machine. The outcomes are presented in a darkened amphitheater, and manage to captivate the audience as though it were a well-rehearsed opera or classical concert. While the strategies and aesthetics of Manzoni and ZERO have now become institutionalized in a way that has made them somewhat less powerful, the conversation that ‘Socle du Monde’ enables between these older works and their contemporary successors offers a new way of looking at the tradition, and of updating some of its outdated politics. Many of the works displayed in the biennial question contemporary notions of economy, nationalism, public space, colonialism and gender in ways that are especially relevant in our current political climate. While the biennial exhibition is vast, it offers many opportunities to reflect on the ways in which the world has been turned upside down, whether through intentional rebellious gestures, unforeseen economic crisis or political upheaval.